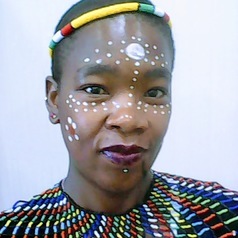 I am a currently working as a post-doctoral researcher at iThemba LABS-NRF in Cape Town. I am involved in an upgrade/refurbishment of the iThemba LABS neutron beam facility in order to prepare the facility to meet the international metrology standards. The iThemba LABS neutron beam facility has been designated by NMISA (National Metrology Institute of South Africa) to be a metrology facility for quasi-monoenergetic neutron beams, using the (p,n) reactions on thin Li and Be targets, in the energy range of 30 MeV – 200 MeV. One of the major activities underway regarding this upgrade/refurbishment of the iThemba LABS neutron beam facility is the investigation of epithermal neutron background in the experimental area by exploring different (improved) designs of shielding through intensive Monte Carlo (MC) simulations.